I love this recipe from Closet Cooking. If crack were good for you. 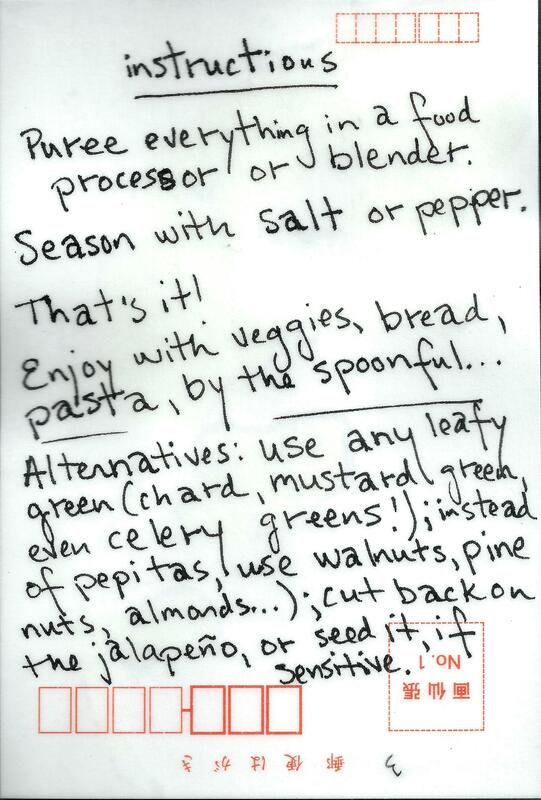 I have turned numerous people on to this insanely good recipe. One of my colleagues threatened to steal some from the work fridge. 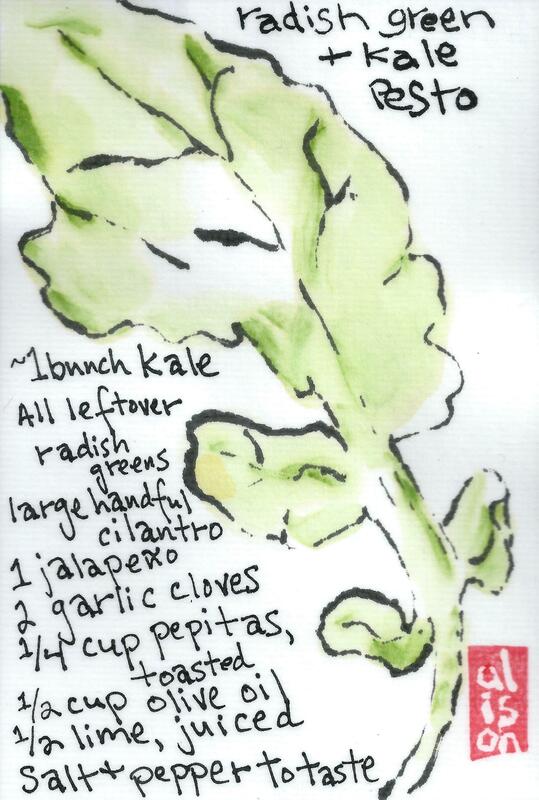 I have incorporated it into an etegami, adapted it a bit, to bring in greens I usually have around my house (kale and radish greens). I have even used celery greens — celery is related to parsley so it’s not really as strange as you might think, but the celery taste overpowered the cilantro, no mean feat. For more on the wonders of pesto, Food52 had a recent post on other ways to do pesto.